So March wasn’t as warm as we all hoped it would be (depending on where you lived) but we’ve got high hopes for April! Tax day is just around the corner, so here are some last minute tax tips to ensure you don’t get scammed. Plus we’ve got our newest articles to share with you including a recap of Edward Snowden’s talk “at SXSW”, reviews of AT&T Digital Life and the brand new Piper Security gadget, as well as information on the latest and greatest life insurance product to help you plan your financial security. So let’s dive on in! Did you know that by filing your taxes early you can prevent tax refund fraud? 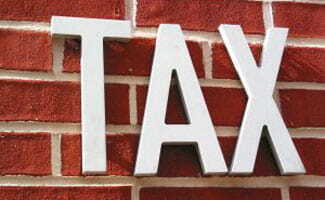 For those of you who haven’t filed your taxes yet, you still have until midnight on April 15. So we suggest you get on it! Challenge yourself to start organizing your taxes for next year early so that when January arrives you are prepared to file and minimize tax fraud. All you’ll need are those last minute documents from employers. Read our article for more helpful tips on how to prevent tax refund fraud. Last month you got your Spring cleaning done, right? Okay, if you didn’t that’s fine. Last week was just the first week of Spring and there’s still time. We also suggest that while you’re getting everything clean and organized that you check to make sure your home is safe and sound too. Did you know that more than 18,000 Americans die every year from injuries that take place in the home? Isn’t your home supposed to be the safest place for you and your family? Check out our Home Accidents article to help danger proof your home. Spring is a busy time of year and time for a little Spring Break vacation. If you’ve got kids you’re dealing with sporting events, band/choir concerts, graduations, and much more. You’ll probably be away from your home quite a bit especially during Spring Break and Easter. Did you know that heavy travel times are among the most common for a burglar to break into your home? So before you start all your traveling, we urge you to update your home security systems and replace smoke alarm batteries. If you are one of those people who bought a security system but hasn’t gotten around to installing it (tsk-tsk) we suggest installing it now. You’ve spent the money on it, so why not start using it! Life insurance can be really confusing and we’ve explained one of the newest and most interesting options: Equity Indexed Universal Life Insurance, a great investment alternative in your financial planning arsenal. If you missed SXSW (South By Southwest) you missed one of the biggest events, Edward Snowden’s speech. But don’t worry, we’ve put together the key takeaways in an easy to understand summary so you can look smarter than all your friends at this weekend’s get together. We reviewed the hottest new security gadget: Piper Home Security and also took a closer look at AT&T Digital Life, so be sure to check them out and see the latest security systems on the market today. And, by the way, they could not be more different from one another! Spring is the perfect time for Spring Cleaning so jump on in with our security tips for a safer life at home and online (thanks Snowden! or not?). And, we even threw in a new investment product to help you gain more financial security. Stay safe everyone!